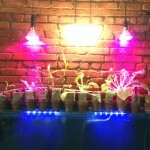 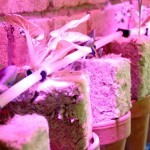 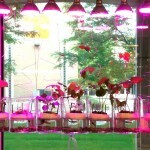 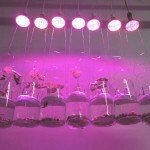 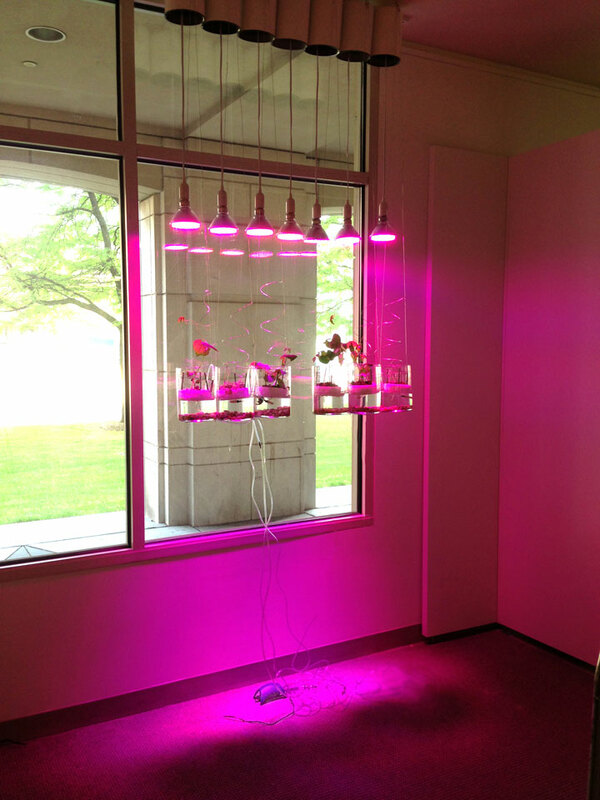 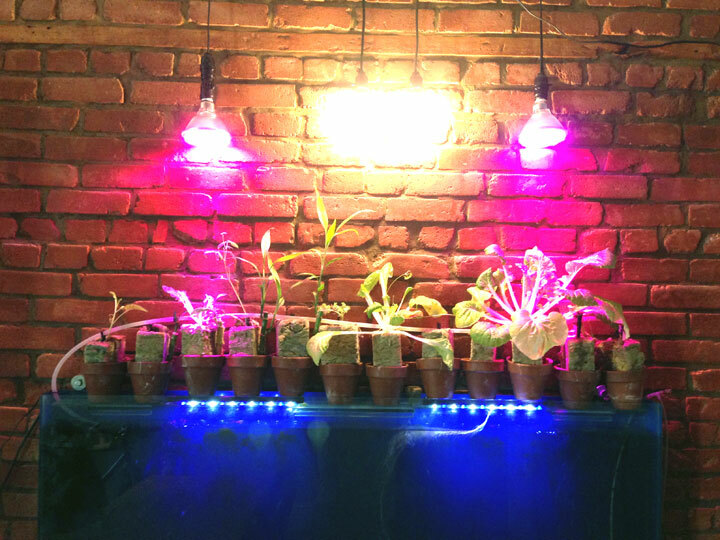 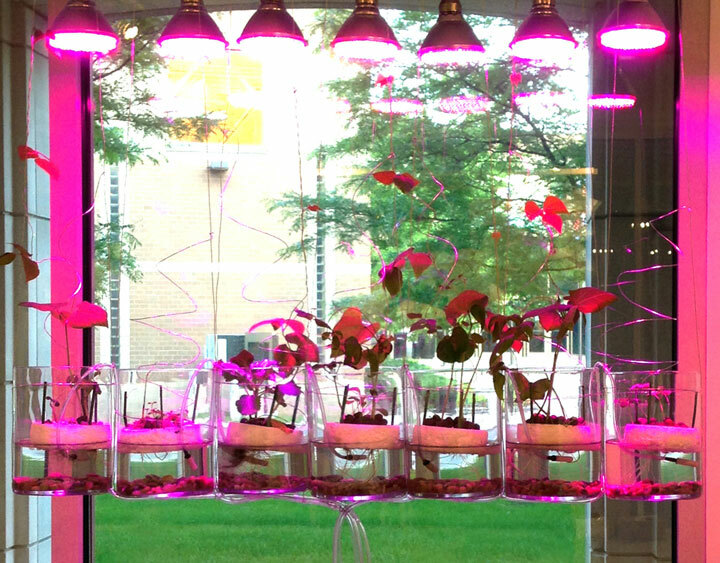 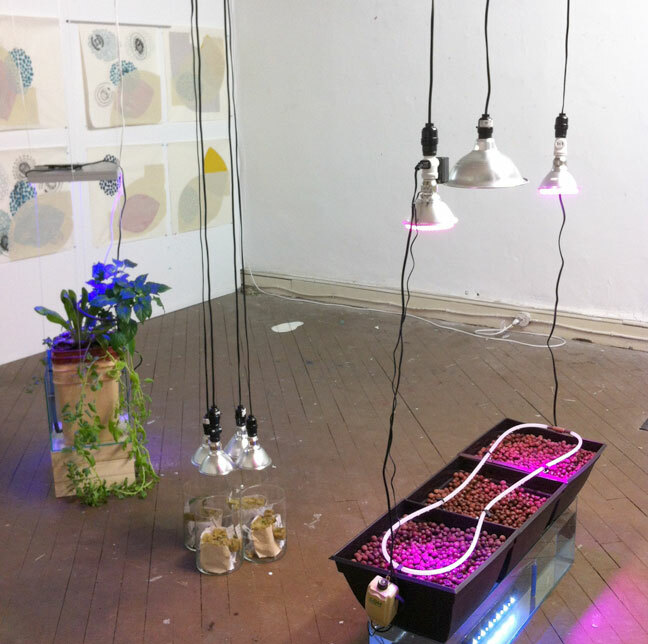 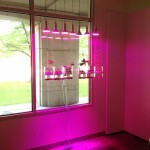 The installations blend together art, horticulture, and sustainable technologies. 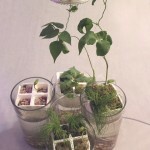 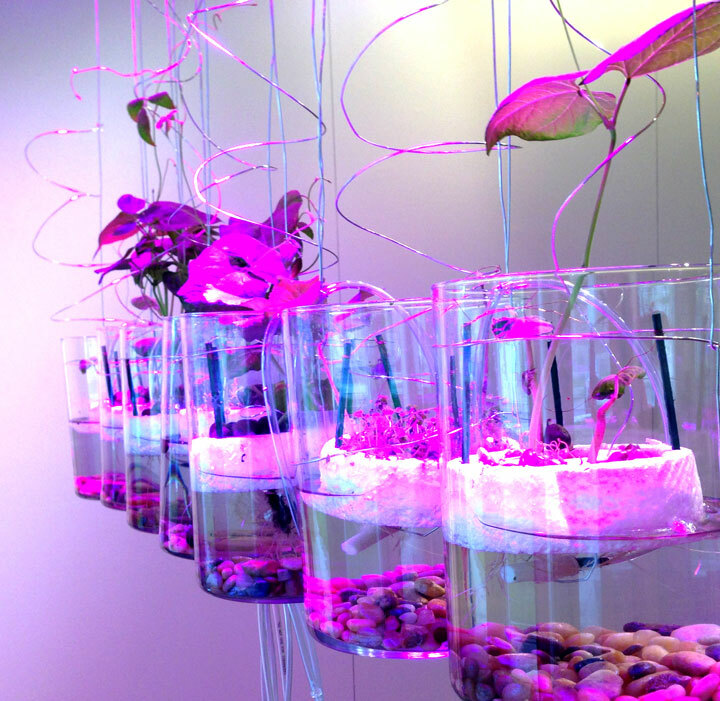 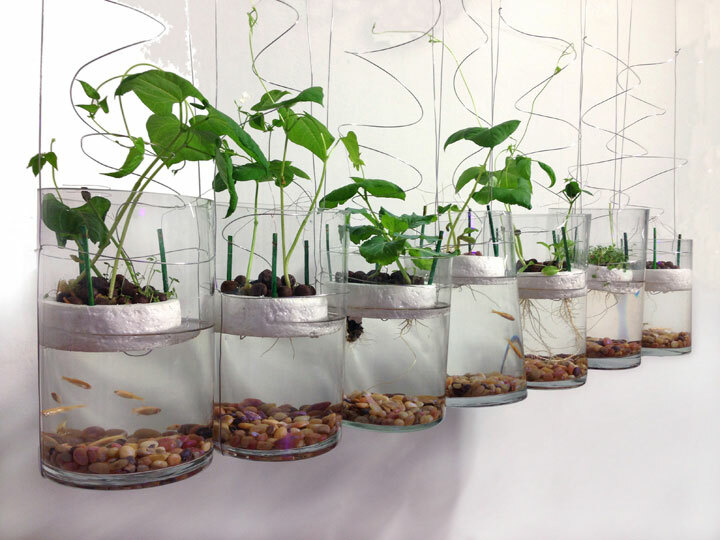 Miniature gardens float on rafts using simple hydroponic technology. 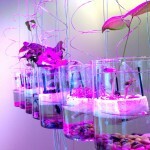 Hanging vessels are filled with water and nutrients. 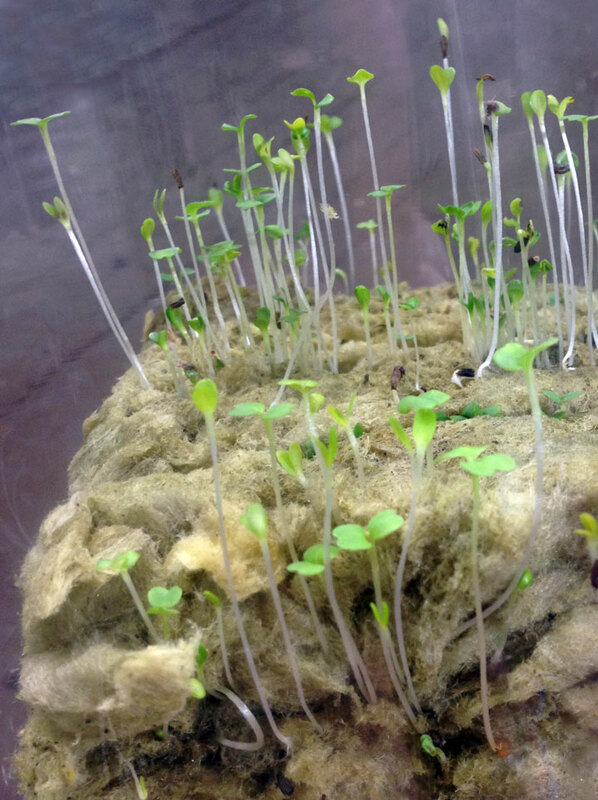 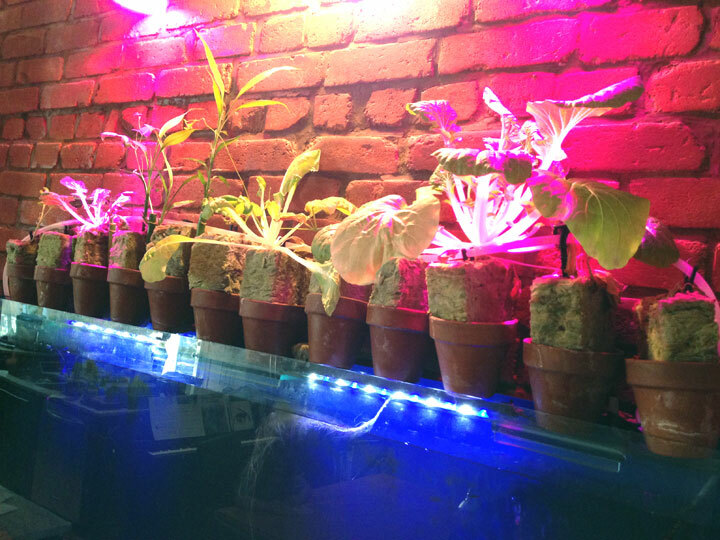 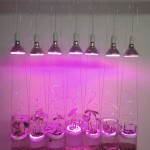 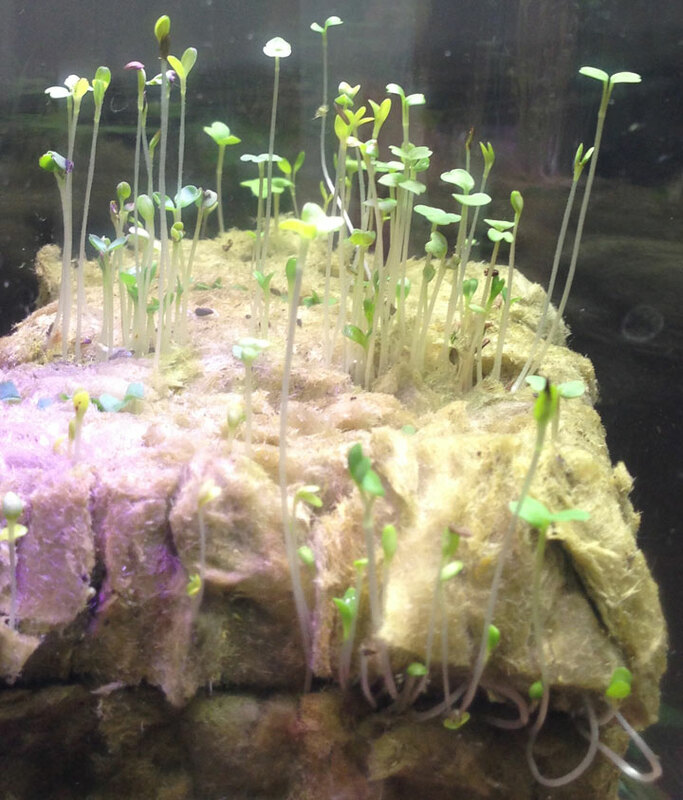 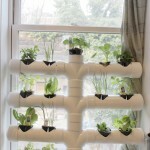 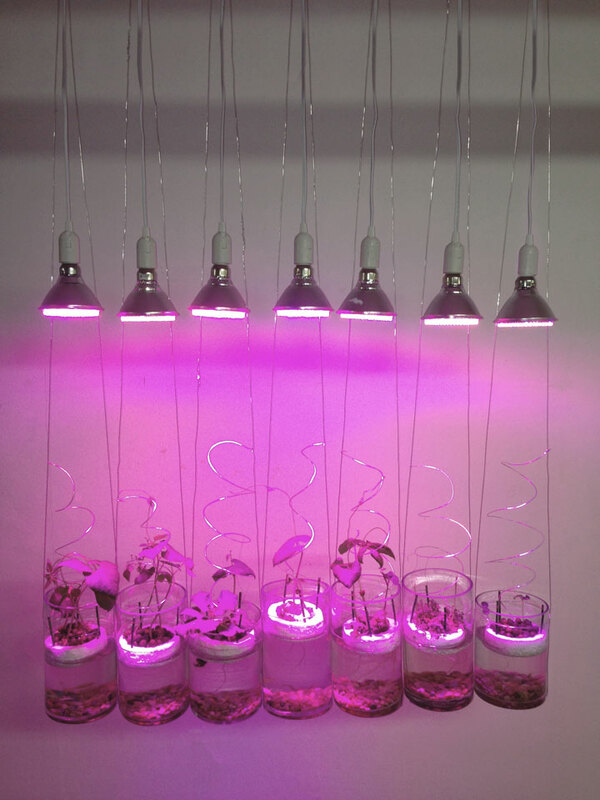 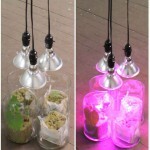 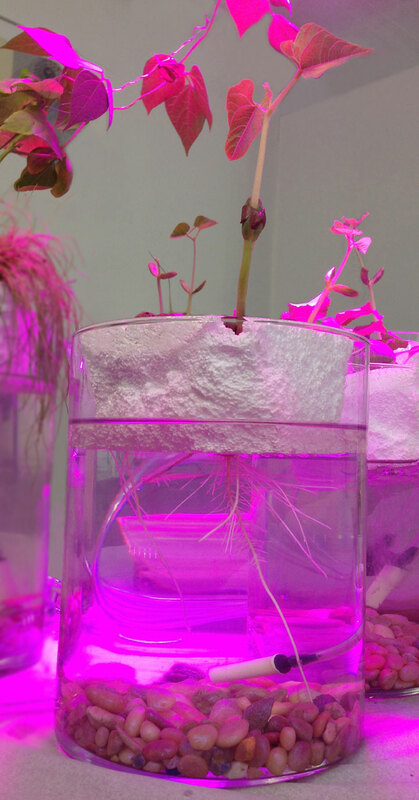 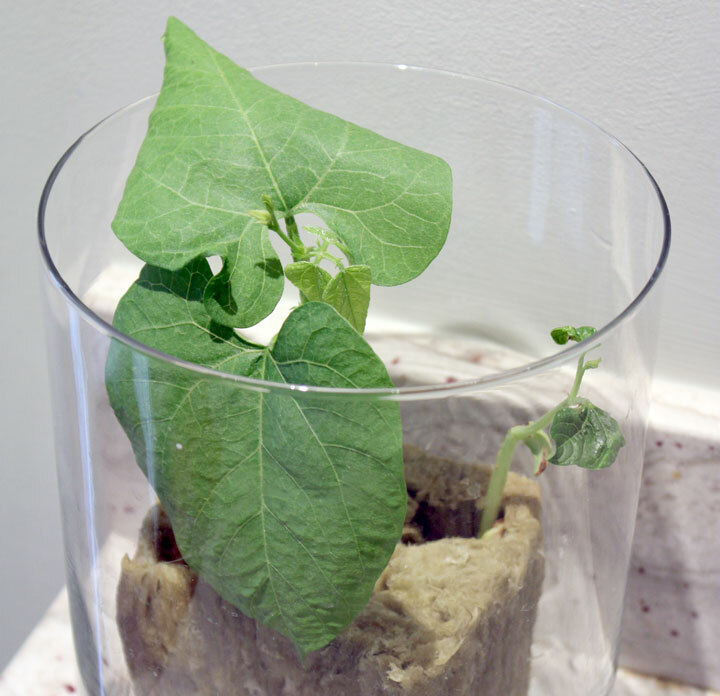 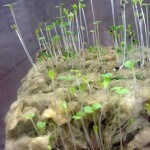 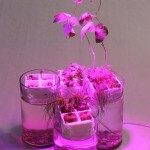 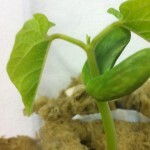 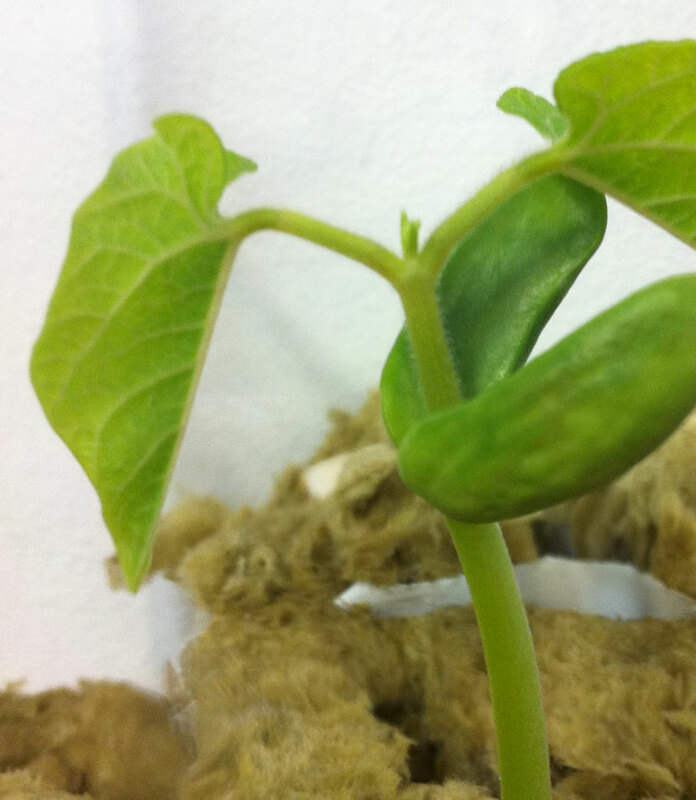 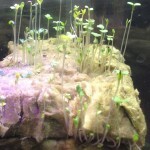 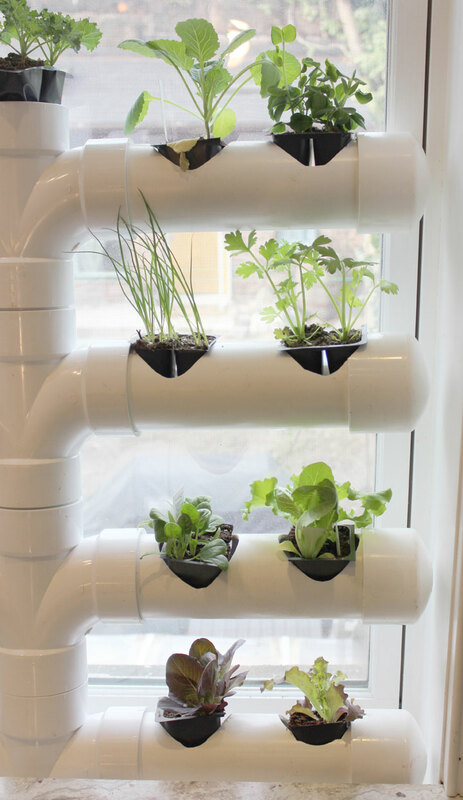 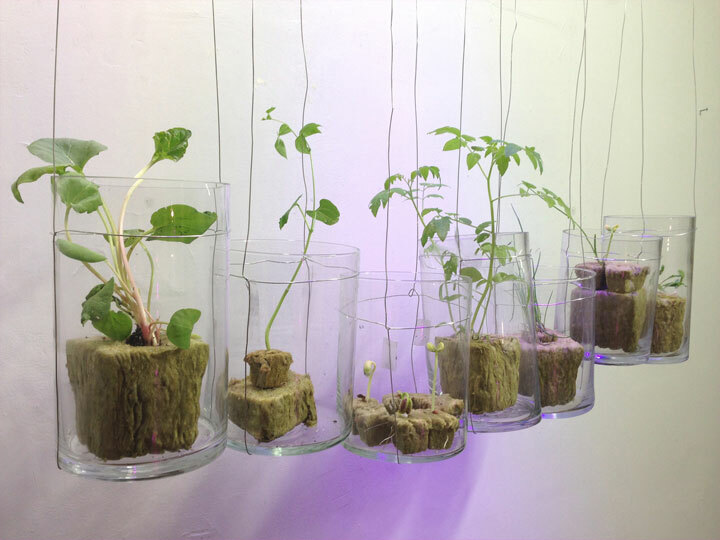 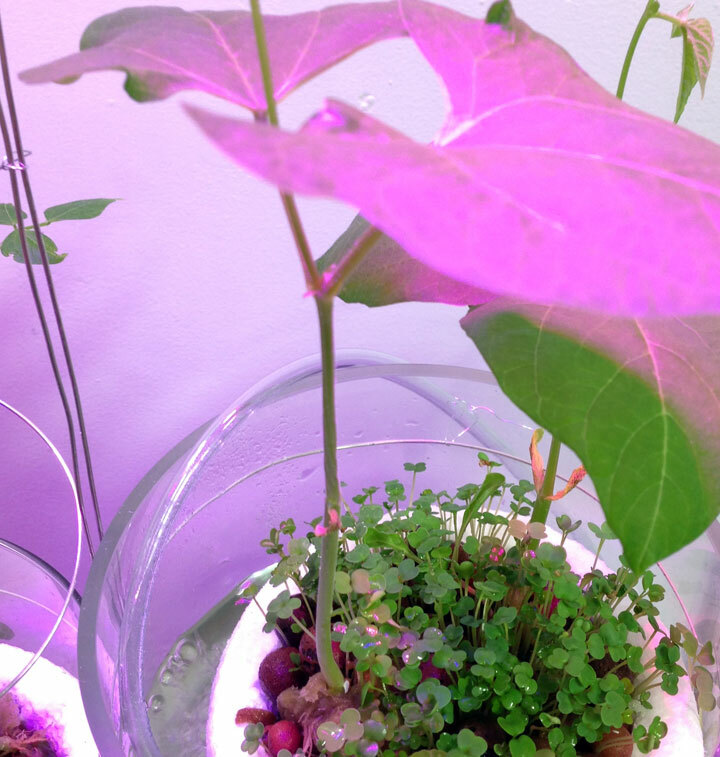 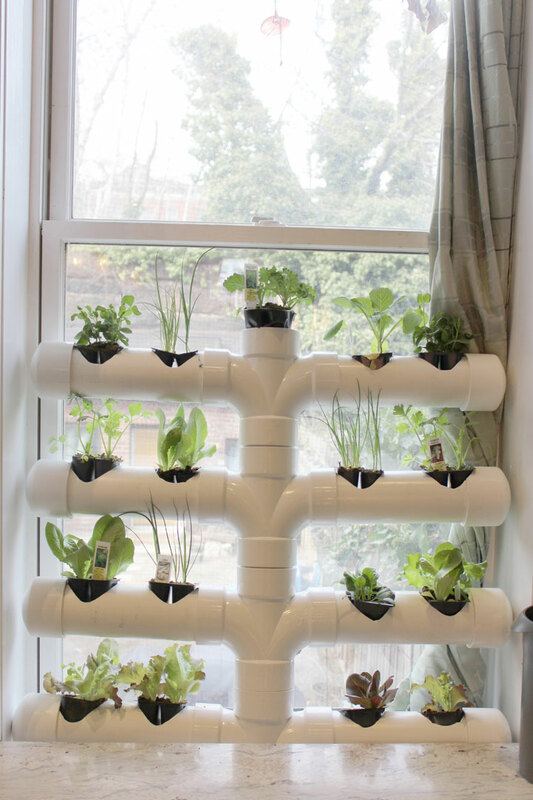 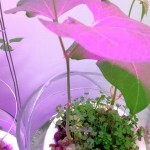 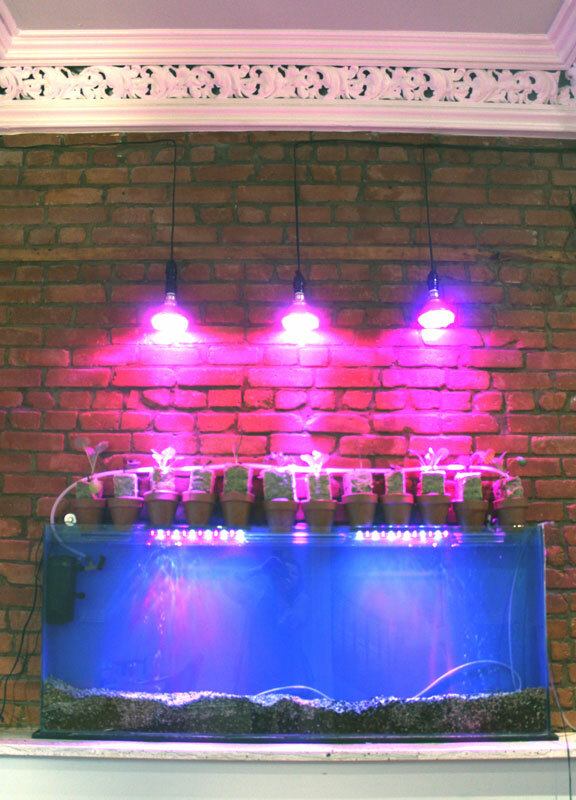 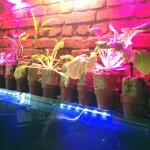 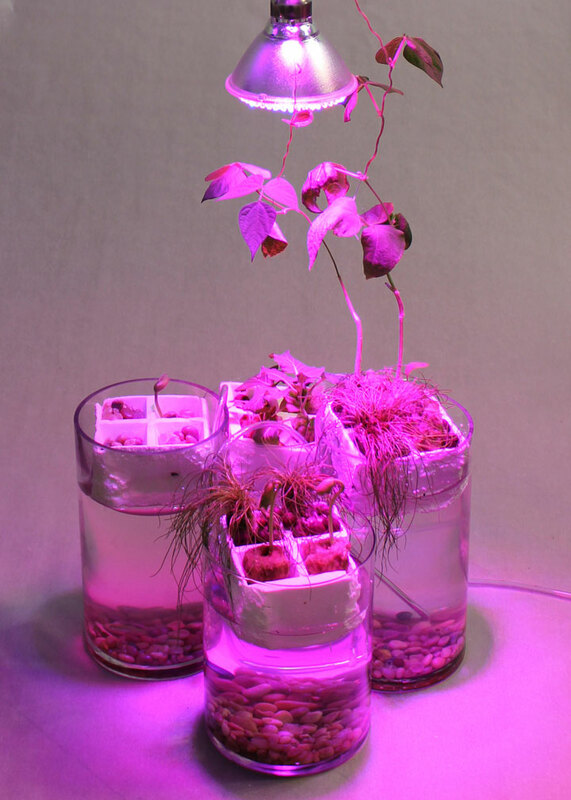 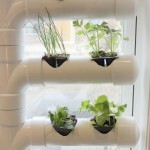 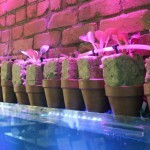 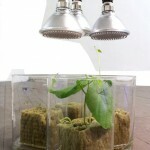 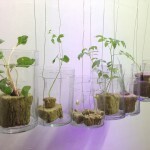 Vegetables float on rafts and climb wire adapting to the indoor environment as they grow with no soil or natural light. 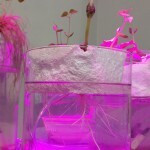 A low watt pump aerates each of the vessels and powers the irrigation. 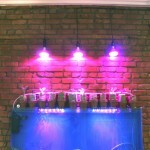 Ambient pink grow lights brighten the blend. 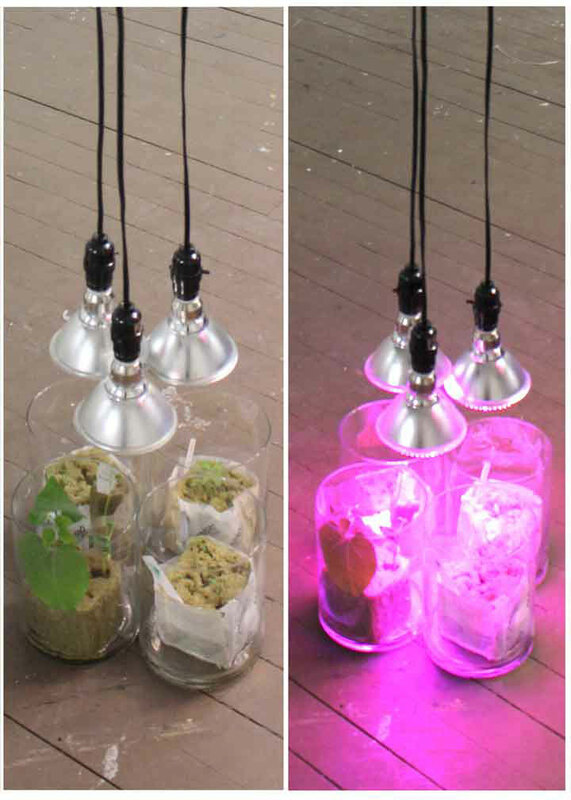 The electrical requirements demand less than a 40 watt incandescent bulb. 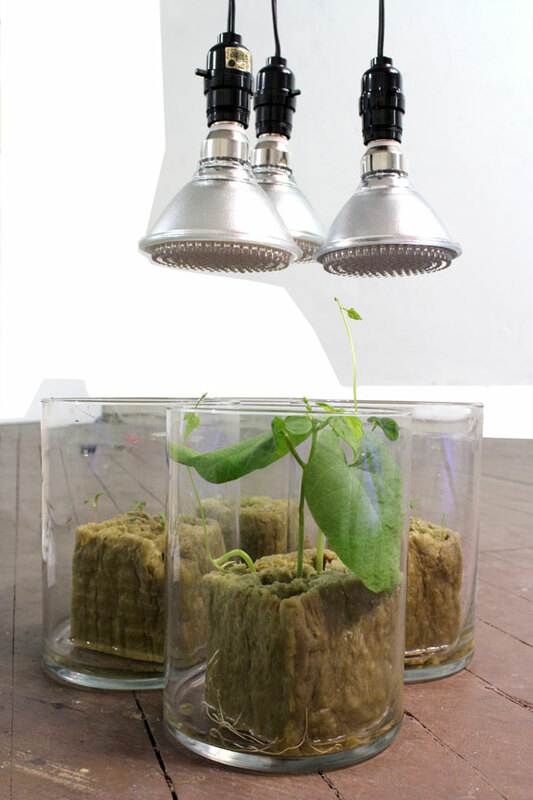 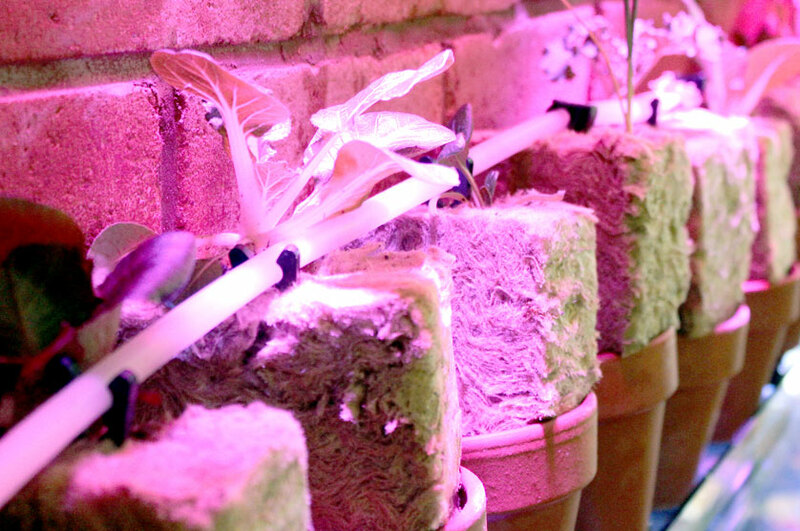 The miniature gardens transform the space and aim to transform how agriculture is viewed in our culture. 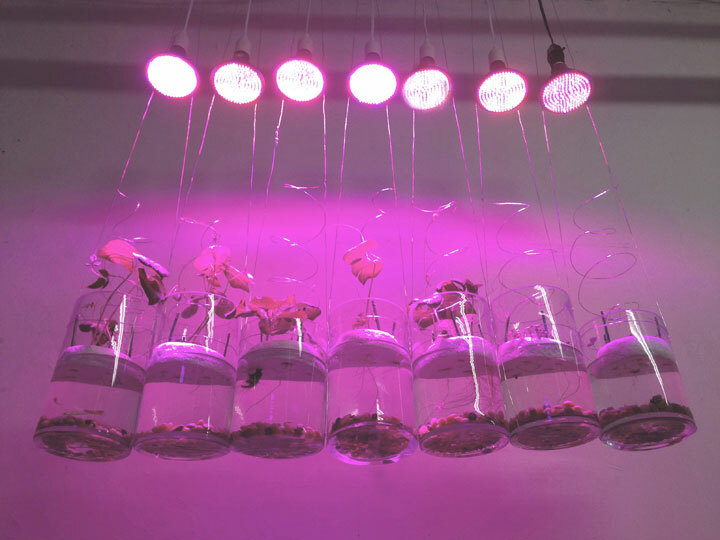 The installations are intended to ignite inquiry about modern use of natural resources and its impacts on ecology, health, economy, and nutrition. 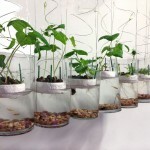 The garden installations, no matter how miniature or grand, suggest that the use of fertilizers, pesticides, and genetic modifications are an option. 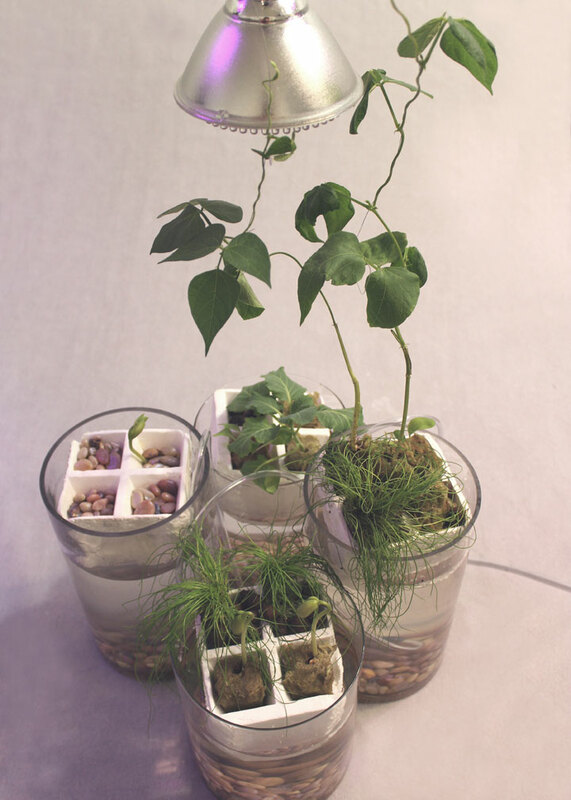 Sustainable miniature gardens suggest that food can be grown nearly carbon footprint free in unexpected places, indoors, on walls or fences, in windows, on roofs, fire escapes, and even in closets. 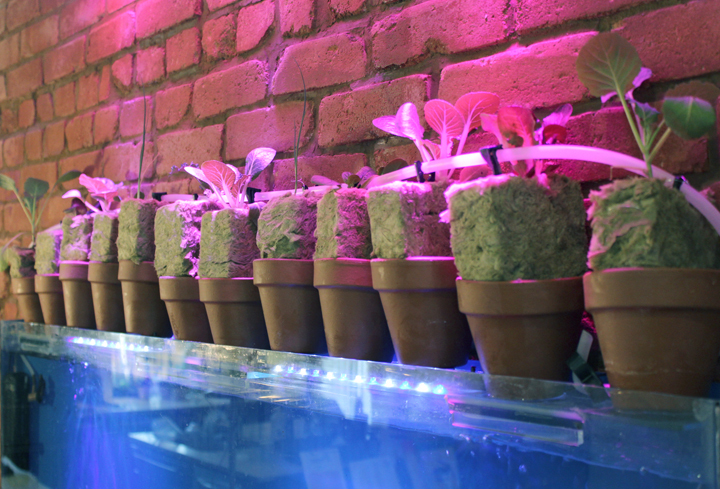 It can be done nearly for free, on any scale, and by anyone from any background.